In twig, specially for the templates being used by many controllers, there might be variables set by one controller but not by others. so the usage of defined can rescue us. this is a simple configuration error that can be solved by adding the bundle in the config. Actually the error would also suggest if you have mapping annotation error. Mostly this could arise from mapping error as suggested.. check if you have @MongoDbDocument in the case of document or the respective @ORMEntity that would tell what that Plain Old Php Object is representing..
btw, the MongoDb and ORM are the aliases, so it could different on your setting..
the requested PHP extension mongo is missing from your system. Got this error when trying to add the mongodb stuff your php project – specially using composer then here is how to solve it. 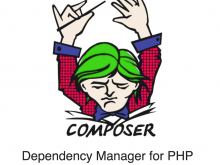 The first thing is you have to add the mongodb driver to php. You might need PEAR on your system. Adding pear to your system is relatively easy and google can help on that. The last lines of successful installation would tell where the installation has occurred and some more important information.